Valdez Fly-In and Anniversary Celebration! Hello from all of us at Alaskair! 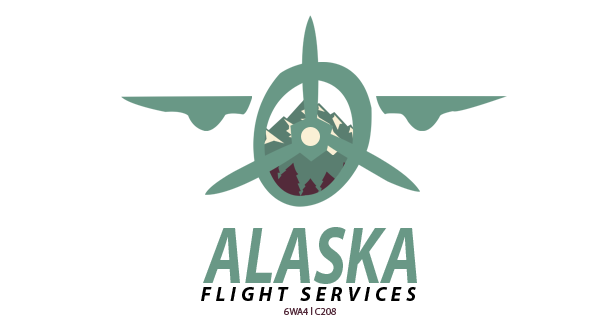 We are excited to get the events rolling over in Valdez for our Birthday and first year hosting this Fly-In. But it is quite a bit more than that this year. A Fly-In signifies that one flies their favourite aircraft from ‘home’ to the show, ties it down with all the other aircraft in a display area, and then sits back and enjoys other events. Our Valdez includes a static AKV fleet display. It is also an Air Show, in which you are a part of the action. STOL work on tundra tires, float flying, taking tourists on a sightseeing trip and helicopter challenges are all a part of the fun this year. But that’s not all. We have also included a small road rally course for vehicles in X-Plane. No mystery here. Takeoff and landings in STOL configuration is the challenge. The “tape” shown is measured out in meters. It is noteworthy that when you have Runways Follow Terrain Contours set to “ON”, the “tape” object does not sit perfectly flat, although it does not affect your ability to view the results in Replay mode. Check your POH for the aircraft that you are choosing to fly and see what the STOL capabilities are. Then try to replicate them. 1½ miles (2.4 km.) bearing 250°M from the 06 end of the runway at PAVD is the STOL Challenge. It consists of 2 barges, each 100 feet (30.5 m.) long (Thank you propsman). They are pushed up against each other, end to end, with a small yet significant gap between them. This is your STOL landing area! Surrounding the barges is the support scene, meant to entertain and add visual confusion as you are attempting your landing(s). There is low light and night lighting available in the scene for added enjoyment. Your “job” is to land on the barge. The word ‘barge’ is used singularly, as any attempt to use both for your landing and rollout will result in your wheels catching the lip between the barges and you crashing. But you can, if needed, “hop” the gap as you are getting the aircraft settled to stop – just make sure the wheels are airborne as they cross the gap. Short Takeoff and Landing operations with a floatplane don’t seem all that challenging when you have a huge protected harbour. But how about when there are buoys kept very close together that you must stay within? The idea is that you need to pull up to the floating dock (seen on the legend map) and align yourself with the sealane. But wait – it turns right up ahead. Yes, the idea is that you must takeoff within the buoys which probably means you will have to turn while gaining speed, then up on one float then liftoff. Try not to hit the oil storage tanks on Ammunition Island. A circular water track has been carved into the ground and filled with water. This track is not all that long but long enough for sure. It is not very wide either. Be very careful of the psychological effects of landing here – so many things going on, so many obstacles, runway on one side and taxiway on the other, and all of it hard as only land, concrete and asphalt can be. While this is an ‘event’, it is also a wonderful opportunity to fly the entire recommended route for the tourist flight. Kick up a little bit of dust on this almost 5 mile (8 km.) gravel road as you attempt to set a new record for speed. Wind it out on the straight stretches but be very careful on the corners. Hitting the default ground, off road, can cause you to bounce so hard you could end up crashing your vehicle. A short takeoff and landing (STOL) aircraft is an aircraft with short runway requirements for takeoff and landing. A list of STOL capable aircraft may be found here. Many fixed-wing STOL aircraft are bush planes, though some, like the De Havilland Canada Dash-7, are designed for use on prepared airstrips; likewise, many STOL aircraft are taildraggers, though there are exceptions like the PAC P-750 XSTOL, Quest Kodiak, de Havilland Canada DHC-6 Twin Otter and the Peterson 260SE. Autogyros also have STOL capability, needing a short ground roll to get airborne, but capable of a near-zero ground roll when landing. Of equal importance to short ground run is the ability to clear obstacles, such as hills, on both take off and landing. For takeoff, large power/weight ratios and low drag result in a high rate of climb required to clear obstacles. For landing, high drag allows the aeroplane to descend steeply to the runway without building excess speed resulting in a longer ground run. Drag is increased by use of flaps (devices on the wings) and by a forward slip (causing the aeroplane to fly somewhat sideways through the air to increase drag). Most STOL aircraft can land either on- or off-airport. Typical off-airport landing areas include snow or ice (using skis), fields or gravel riverbanks (often using special fat, low-pressure tundra tires), and water (using floats): these areas are often extremely short and obstructed by tall trees or hills. Wheel skis and amphibious floats combine wheels with skis or floats, allowing the choice of landing on snow/water or a prepared runway.